I disagree when people say that having kids and travelling are two opposite choices in life. I actually think that these are the best parts of my life. Having both, at the same time, feels like winning the lottery. Add to this happy mix , the perfect family holiday destination and you realise that happiness and perfection exists. Ever since I was a child, no matter what happened, my parents would always save money throughout the year to make sure we would have a family holiday. Sometimes for one week. In good years for two. Our annual ritual would always observe the following four acts; getting on an airplane, relaxing under the sun, eating good food and having fun. Lots of it. My best memories of my childhood were created during summer holidays. I want my kids to have these same memories. Simple act of packing our bags. Entering the airplane and feeling like the luckiest girl in the world for bagging the window seat. Playing cards all afternoon while listening to the Gypsy Kings from the balcony of our hotel (no iPads in those days). Relaxing in our crocodile shaped floating bed in between the best diving competitions. The sound of laughter from my parents, relieved from their work concerns. This year, our family went to Costa Brava to recreate some of those memories and collect some new ones. I had heard about Costa Brava a few times and it sounded like a great option. Sun. Wild untamed coastline. Beaches. Good food. It was good enough for me. I would be one of the few people ‘in my hood’ to tell the story. Plus a new direct flight with Vueling from Madeira (my Island) to Barcelona was another key factor. So. What happened next and where did we stay? Here’s a practical guide and our itinerary. Costa Brava is located in the province of Girona, on the northeastern coast of Spain, Catalonia. It is renowned for being a popular destination for its beautiful sun kissed beaches in the mediterranean sea, the local history and the excellent food. One of the other reasons which bring visitors to Costa Brava is the so called Dalí triangle. Salvador Dalí, left a huge imprint in Costa Brava and visitors can discover it through 3 sites : The Dalí Theatre-Museum in Figueres, the Dalí House-Museum in Portlligat (Cadaqués) and the Gala-Dali Castle in Púbol. This 4 star hotel has the most beautiful surroundings you can image, rising above two beaches (Cap Roig and Belladona) nested in coves and surrounded by pine trees. In terms of facilities, this hotel is beautiful with lots of light , pearly white interiors which create a relaxed ambience and is the perfect contrast to the deep metallic the blue of the mediterranean sea. The best feature of the hotel for me was the terrace which offered the most stunning views. You could stay there the whole day, reading books, having cocktails or even breakfast (which we did a few times). Our room was spacious ( no problem fitting an extra bed for the kids) and very clean. Bathroom was spacious, nice shower, good range of toiletries and a nice balcony with sun beds. This is the perfect place to relax and a great base to explore the region, which was our main goal. In terms of entertainment, Platja d’Aro has lots to do. There are many great , unique places to shop, great range of restaurants, bars, ice cream shops, playgrounds for children, bowling and a nice, long promenade by the sea. I highly recommend the coconut and violet flavour. There’s also a great waterpark – Aquadiver. Although it is expensive, this was probably the nicest waterpark we’ve been to. It is beautifully shaded by pine trees with large lawns to relax on as well as sun beds. It is served by a few restaurants (including a creperie) and shops (in case you need an extra swimsuit), and has lots of fun water slides and pools. It is not overcrowded specially in the afternoon, so no long queues or too much noise, just perfect. There are different types of slides to choose from (besides a huge jacuzzi pool) like a fast river, zig-zags, kamikaze, baby pools and a fun temple with lots of hideaways and surprises. Kids loved it. The local gastronomy is excellent and mostly affordable. Wherever you go you can find lunch and dinner menus for a reasonable price ( ranging from €10-€15). You can find meat (sausages and veal), fresh fish and also vegan dishes like tomato tapas and pimentos padron. You can pick up rental car in Barcelona airport or book a taxi but this last option is much more expensive. I still remember how I felt the first time I saw this beach. It was a Sunday and we spent the first day relaxing on the beach, exploring the area of the hotel, playing games with the kids by the pool and resting from our flight. You can also book a cheap beach massage on the sun beds (my partner Kash did) and there’s also a very good ‘Chiringuito’ on the beach for mojitos and tapas. The water is absolutely translucent. You can even see the fishes swimming around your feet. We had pizza at the hotel. The vegetarian option is really good. Other options are hamburgers or pasta which work really well if you’re traveling with kids. I’ve also noticed that many locals brought their own picnic to the beach: Gaspacho, olives, tapas and water melon – a delicious idea! We had a great guided visit of this enchanting medieval city thanks to a tour by passionate local , Margarita. Aimed at both kids and the adults , the tour was a wonderful introduction to this city. It can be difficult to walk around a city, specially when the sun is burning and the kids are constantly asking when do we go back to the hotel pool. However, when you have a guide that speaks directly to them and engages them in discovering the city, it makes such a huge difference. This was the case on our tour with Margarita and most of the tours we had in Costa Brava. – this is a destination that knows and understands the needs of family travellers. Map in hand, we crossed the bridge that Eiffel created to connect both sides of the Onyar river. We then wondered into the Jewish neighborhood which figures prominently in the latest series of Game of Thrones. We also visited some original shops, climbed the steps to the cathedral and walked along the narrow streets and picturesque alleys. This medieval city is surrounded by walls and you can walk along some parts of it to admire the panoramic views of the surrounding landscape. There’s also a great museum for families called the Cinema Museum which allows you to play with shades among other interactive experiences, but unfortunately it was closed on that day. One of the best times to visit Girona is during the Flower Time in May, where for 10 days, the whole city is decorated with flowers and artistic installations in the monuments, patios and gardens. We saw some pictures of it – it looks beautiful! Girona has many interesting stories. One is about the witch of the Cathedral, a woman that used to be a witch and insult religious people by throwing stones. One day she became a stone herself and you can see her in the walls as a gargoyle. Another thing that caught our attention were the flies as a symbol of the city. This is related to the legend of San Narcís – the bishop. When the King of France invaded Girona and burnt the city, San Narcís’s tomb opened and thousands of flies came out to bite the enemies for which they died and the invasion ended. Cost: The 3 course lunch menu costs 15 € and includes wine. This is a medieval building which Salvador Dali decorated to offer to his muse and wife – Gala. This oasis was her refuge and people could only visit her by written invitation. The 3 floors of this castle open to a beautiful inner courtyard and a garden with a beautiful pool and sculptures of Dali. Inside the house you can admire the most beautiful painted ceiling of the main room, the kitchen, the bedroom, the bathroom and even her stunning collection of dresses from Dior. The garage is also worth visiting with beautiful classic cars. Gala’s tomb can also be visited here. The garden is very dreamy and the sound of the waterfall dripping into the pool takes you to a world away. We spent the whole morning by the beach of the hotel. Couldn’t help it …:). By 12:00 we headed to Figueres and arrived by lunch time. Parking was easy, there are many parking spots in Costa Brava: some are paid , others free. Figueres is the home town of Salvador Dali. This city is very pretty, it has a nice old area with a ‘rambla’ where locals meet, a popular toy museum, nice shops, old cafes, hotels and restaurants. Although the main reason that brings visitors here is the famous Museum of Dalí. We were attracted by the welcoming atmosphere and the local feeling. They offer a lunch menu which is brilliant, and the food was surprisingly good. I’ve had a nice salad starters, grilled salmon for mains and a heavenly chocolate mousse for dessert. Wine as usually – great. We waited a while to be served but while waiting they offered a tasty starter of asparagus, eggs and chorizo which was very good. At the end of the meal the chef came to greet us at the table which made us feel welcome and wishing us to come back again. And so it was, guiding us through his museum built upon the remains of Figueres theatre, against all odds. People asked him to build his museum in Barcelona, Paris or New York but he had made up his mind that it would be in his hometown: Figueres. The whole museum is spectacular. You can feel how much work and attention to detail has been given to create this masterpiece. The main message of this place for me was that art doesn’t have to be serious and that in the world of dreams anything is possible – to create is to dream awake. There’s a cadillac ( in the theatre ) and if you insert a coin, it rains inside the car and a black umbrella opens up on the top of the car. There is a photomosaic painting in the lateral wall of the theatre that at first sight looks like a woman (Gala) contemplating the Mediterranean Sea but if you look at it though your phone or at 20 meters of distance it is a portrait of Abraham Lincoln. You can also see many monsters with drawers coming out of their bodies. He believed that our mind and bodies have drawers where we keep our secrets. He also kept his secrets in a small red velvet safe – a treasure room in the museum with his signature jewels and his favourite paintings. One of them is Atomic Leda – inspired by the myth of leda and the swan, which he loved, hence his obsession for eggs. The myth of Leda recounts that Zeus, was in love with Leda but she rejected him so he turned himself into a swan to seduce her. The egg that resulted from that union gave birth to twins: one immortal and the other mortal. Dali believed that he and Gala were immortal twins and he wanted time to stop (which is the meaning behind the melted clocks of his paintings ) so that they could live forever. Another fun part of the museum is the Mae West Room. Dali was inspired by her sensual lips and created a painting inspired by her face where the nose became the fireplace, the eyes became paintings, the hair became the curtains and the lips became part of the famous Mae West Lips sofa. The visit finished with fun activities to take home inspired by Dali’s creativity. Palafrugell is another city worth visiting in Costa Brava. Marta, a local guide, guided us through her city as a local friend would do, taking us to her favourite places and telling us the stories behind it. Palafrugell has narrow streets and lively squares where people greet each other. It has that feeling of a small town where “everyone knows someone that knows who you are” – I felt at home. The market is impressive with a wide variety of fruits, vegetable, ‘chorizo’ and sea food. There are also many interesting old buildings in the city, where locals meet to catch up with the news of the world, day and night. We also climbed to the modern catalan tower of Can Mario, near the Cork museum. It used to be the water tank and is now the symbol of Palafrugell. At the entrance there’s a tunnel which displays the history of this place and then simulates water falling before you gently climb the steps that will take us 30 metres up.Once you reach the top, you can enjoy 360º views of the surrounding countryside , stretching all the way to the sea. From there we went to the Sant Sebastià cape and lighthouse which offers panoramic views over Llafranc’s bay, Calella’s coves, Cap Roig and Palamós. We then headed to the nearby beach of Llafranc. This is a really nice area with many restaurants(including a Michelin star restaurant called ‘Casamar’ ) , a few shops and cafes. From there you can also go hiking along part of the famous coastal path ‘Cami de Ronda’. We chose this restaurant for its good reviews and location on the seaside boardwalk, right in front of Llafranc beach. The staff was cheerful and helpful serving catalan food with a modern twist. Good value, great presentation and taste. Desserts were also realy good. There was a menu for kids. I’ve tasted the Pálamos prawns – Heaven. We went hiking along part of Cami de Ronda coastal path from Llafranc, the views again breathtaking…we could see many families kayaking along the coast or walking this same path. In some parts of the walk there was no one, just you and the sea. Cadaqués is one of the most picturesque, beautiful cities I have ever seen…it has a little bit of Greece with its white washed houses and turquoise blue doors, decorated with pink bougainvilleas and narrow stoned pavements. It has a little bit of France due to its proximity to the border and some dishes from the other side. It also feels a bit like Portugal with some resemblance to Algarve’s fishing villages and its sunny beach coves by the sea. It is nested in a beautiful bay with clear blue waters and lots of colourful fishing boats. Most houses have direct access to the sea. While most locals have their siesta, visitors spend their time at the beach or enjoying a fresh beer in one of the many terraces by the sea. Visit Salvador Dalí House in Portlligat. This house was where he lived and worked from 1930 to 1982. He stopped living there after his wife, Gala died. He liked the isolation, the views and the light of this place. Located in Portlligat, just a few minutes from the city centre, it had direct access to a stunning bay which he enjoyed the most, either through mirrors strategically located in the house to see the sunrise/sunset from his bed or through open windows in probably all divisions, meeting the sea.This house is a labyrinth since he created it little by little, adding a new room at the same rhythm as each new pulse in their lives; crazy beautiful as the artist. What I loved the most? The yellow flowers which his wife Gala spread in unusual places such as on top of wardrobes and all around mirrors and windows. The pool where you can imagine the insane parties held there. The olive tree garden, side by side with wooden chairs , a “ready to land” invitation to soak up the sun kissed views. The wardrobes covered in black and white pictures of intimate, meaningful and funny moments of their lives. To visit this museum you have to reserve it in advance. We had a Lebanese meal in a restaurant called ‘El Barroco’ that was decorated and frequently visited by Dali himself. Food dishes can range from vegetarian or non vegetarian and can be accompanied by Beirut beers. After lunch we visited the easternmost tip of Spain and Costa Brava: Cap de Creus. At an altitude of 672 meters from the sea, stretched across a rocky unforgiving wild deserted terrain you to feel closer to the sky, to the sea and to nature. When I say it is deserted, it doesn’t mean you won’t find other visitors.You’ll find signs of humanity cycling their way along the road: dad on the front followed by two kids and mother behind, you’ll find couples walking their way to desert golden sand beaches and families sitting together for a selfie near the edge of the cliff or having a meal near the lighthouse. As for the rock that inspired Dali’s painting, I couldn’t find it, I was too busy admiring the views, watching the sea in the distance, looking at my kid’s astonished faces and my parent’s satisfaction for being in this amazing location. One of kind location, one of a kind experience. We spent the morning enjoying the last minutes of the holiday in Belladona Beach. It was hard to leave this beautiful part of the world. Return rental car at arrivals in the airport. 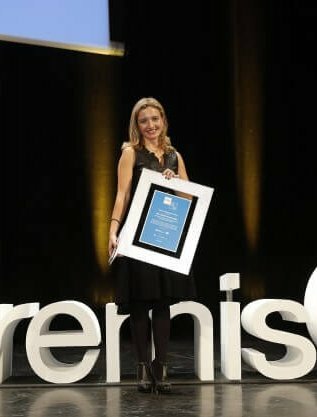 The best of Costa Brava? The beaches are absolutely stunning and there’s a specially inviting atmosphere in the air. Camin de Ronda is like a fairytale path along the coast specially early in the morning when its just you and the sea. Plus, being able to follow the footsteps of Dali was a privilege. This is a truly family friendly ( meaning pet friendly as well) destination. You can find many fun attractions, excellent playgrounds and most restaurants offer kid’s menu. Stay longer than we did. One week is too little to enjoy the surroundings at a slow pace. If possible stay at least 10 days or 2 weeks. 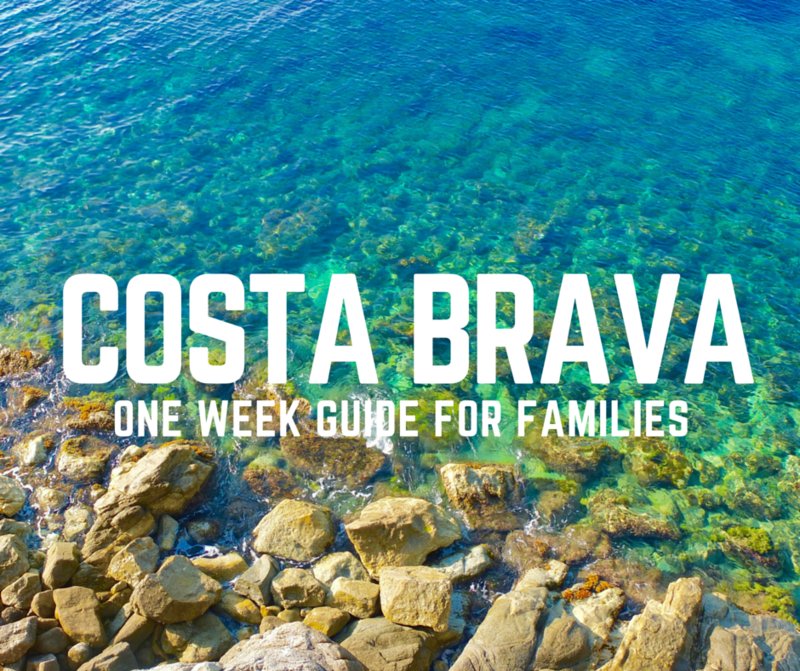 Do take your family to visit Costa Brava. It has lots to do and see yet it also has everything you need to enjoy a ‘stress free’ holiday. Show them the views, tell them the stories, visit museums, get them to know who Dali was, enjoy the beaches, go for walks and share great meals by the mediterranean sea. Happiness lives in this brave coast. Thanks, We are heading to Costa Brava in a week so I found this article very helpful. Just wished I had booked Silken Jorge, I opted for somewhere a little cheaper in Palafrugell. Anyway, will be nice to swim in the sea after a cool winter in Melbourne.